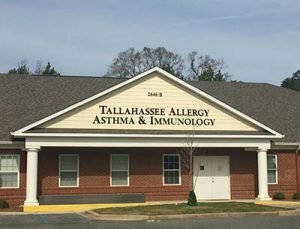 When you are looking for quality treatment and care for conditions such as sinus issues, allergies , asthma, eczema, hives or primary immunodeficiency problems, look no further than Tallahassee Allergy, Asthma & Immunology. Drs. Wilson and Cruz are both fellowship trained and board certified in adult and pediatric allergy, asthma and immunology. We have had the pleasure of providing expert care to the Tallahassee area since 2006. Let us put our knowledge and experience to work for you.